district color: happy birthday america! 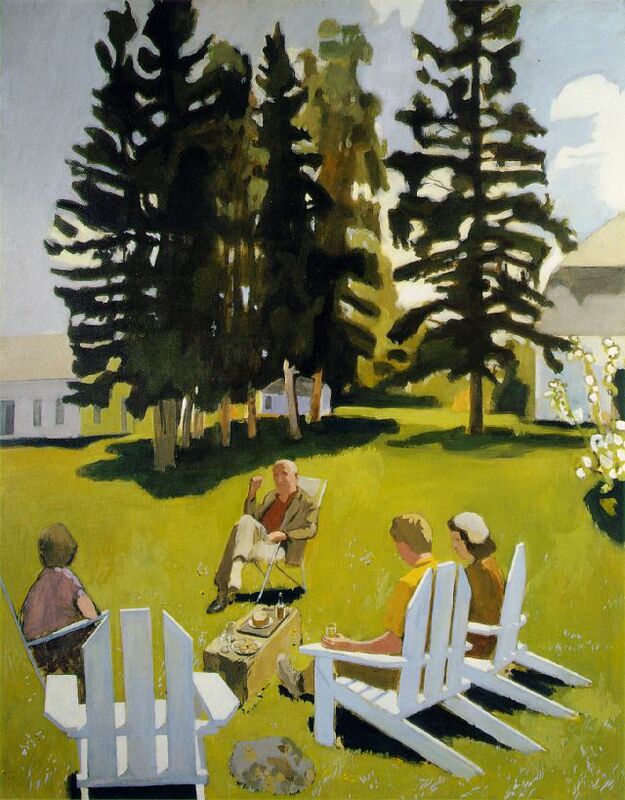 It's almost Independence Day and a lot of great American art comes to mind. 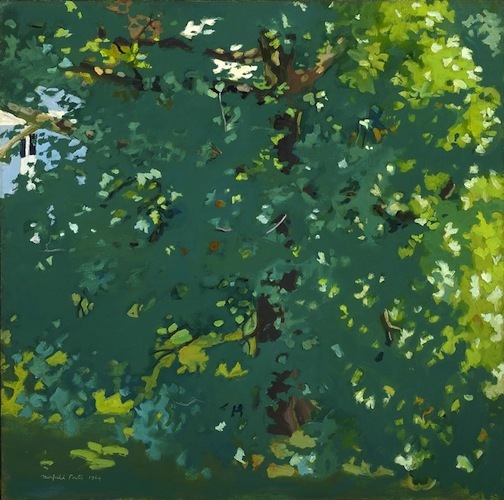 For this early 4th of July post, I would like to share some of my favorite Fairfield Porter summer paintings, beginning with his July (pictured above). What could be more American than sitting on the lawn in Adirondack chairs, sipping refreshments and waving off the occasional bug? 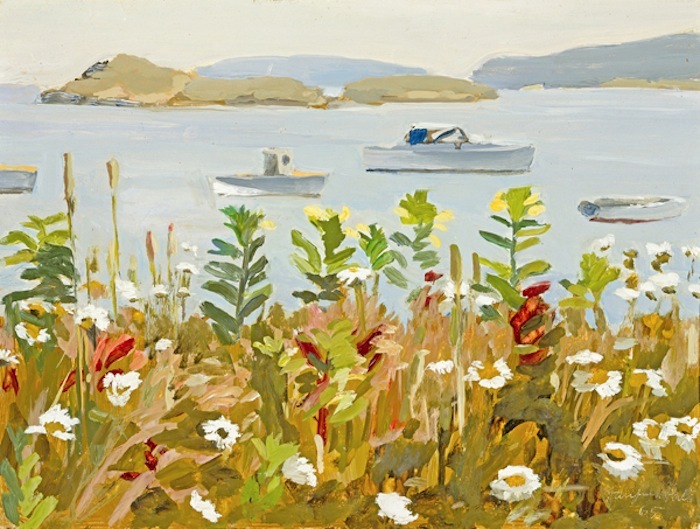 Painting in his beloved Maine, Porter's work makes me nostalgic for summers up North. A few notes on his biography: born in Winnetka in 1907, Porter grew up in a cultivated setting. Both his parents loved the arts, and had critical eyes. After attending Harvard University, Porter moved to New York City where he immersed himself in the politics and bohemian lifestyle of the Village. 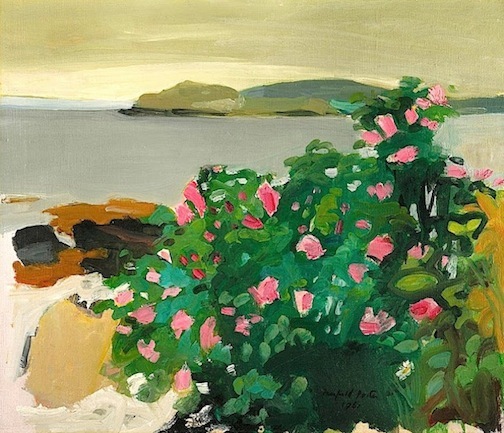 Working as a painter and art critic, he married poet Anne Channing and was close friends with Edwin Denby, Rudy Burckhardt and Willem de Kooning. In 1949 the Porters joined the farmers and artists in Southhampton. 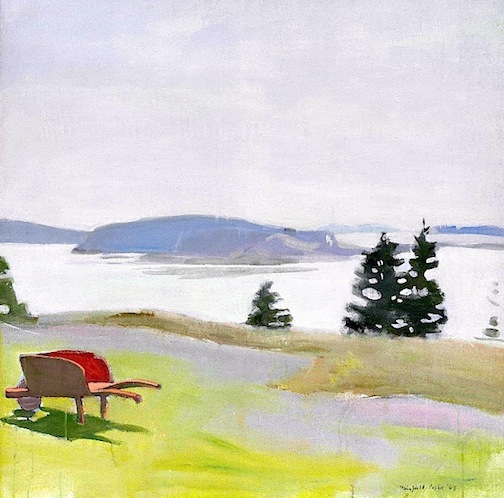 This new landscape, along with views from his parents' summer home in Maine, would become the subject for many of his mature paintings. 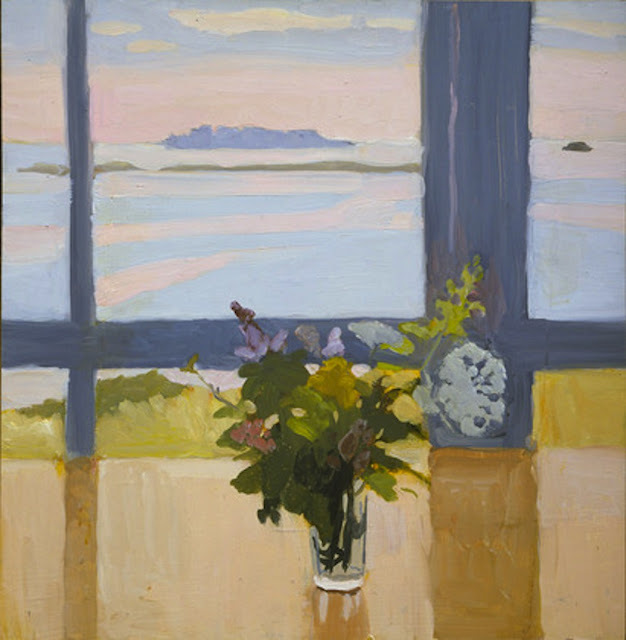 Strongly influenced by Bonnard and Vuillard, Porter once said, "What I like about Vuillard is that what he is doing seems to be ordinary, but the extraordinary is everywhere." In much the same way, Porter's "ordinary" summer landscapes, often including his friends and family, are imbued with the extraordinary. Wishing everyone a happy Fourth and a very happy summer! Daisies and Harbor Boats, The Plane Tree, The Barred Island, Flowers by the Sea, Wild Roses.